With Building Information Modelling increasingly used in construction and infrastructure project delivery, a Deakin construction expert is calling for Australia to introduce a common tertiary education strategy to meet future demand. 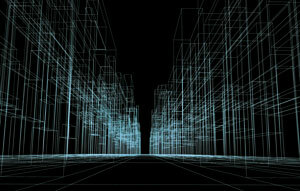 Identifying a need to build on and improve the uptake of Building Information Modelling (BIM) in the Australian construction sector, two industry bodies came together to release an Australia-first framework in 2017. In March last year, the Australasian Procurement and Construction Council (APCC) together with the Australian Construction Industry Forum (ACIF) released the BIM Knowledge and Skills Framework. The aim is to provide a framework of principles, practices and outcomes with which to build an education curriculum, professional development and business BIM requirements. BIM – the digital modelling of buildings or infrastructure – is essentially a shared knowledge resource for information about an asset, which creates a reliable basis for decisions during its complete lifecycle, from design to construction to operations and maintenance. 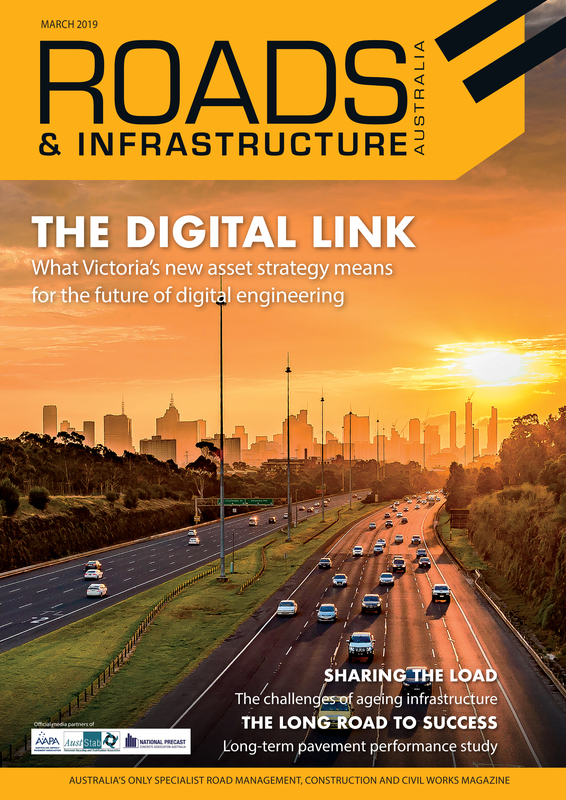 At the time of the framework’s release, APCC Executive Director Teresa Scott said the framework allowed Australian businesses and educators to pay attention to BIM, with an eye to improving quality in project delivery and improve productivity. “When the building and construction sector flourishes, so does the economy. That is why it is critical that industry and governments create the conditions that will make our industry competitive and more productive,” Ms. Scott said in a statement. The statement also said that, given the benefits of BIM to the construction sector, a knowledge and skills framework is necessary to ensure that Australia harnesses BIM’s potential and strategically engages and applies its new technology in a consistent manner. 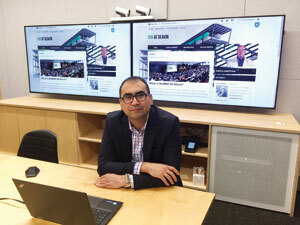 Dr. M. Reza Hosseini, a lecturer in construction at Deakin’s School of Architecture and Built Environment, says the uptake and implementation of BIM has made significant progress in Australia in the past few years, with the APCC and ACIF framework providing an effective benchmark for the industry. “I think we are doing well, certainly not to the same level as the United States and United Kingdom, but we’re getting better. Even looking at BIM research undertaken in Australia this year compared with research conducted in 2013, the difference is significant,” Dr. Hosseini asserts. He explains that for many contractors and subcontractors, this is already justified through shared working processes. However, smaller businesses are less likely to embrace BIM in the short term due to fewer resources and the fact it’s not necessarily applicable in many of their day-to-day functions. Dr. Hosseini says it’s only a matter of time before the majority of businesses in the construction and infrastructure sectors have to adopt and use BIM in their project delivery. While uptake of BIM across the market in Australia has improved and industry standards such as the APCC and ACIF’s framework have been established, Dr. Hosseini says Australia now needs to introduce a common tertiary education strategy to meet increasing industry demand for expertise in BIM for the long term. “A large proportion of Australian companies are using BIM now and we expect it’s only a matter of time before it’s used even more widely. So, demand for associated skilled professionals is predicted to increase substantially,” he says. Australian tertiary education providers are already integrating BIM into their courses and units, Dr. Hosseini asserts, explaining that Deakin is one such institution heralding the coming of BIM. Two new units focusing on BIM were introduced into construction management courses last year – Introduction to Building Information Modelling for undergraduate students, and Principles of Building Information Modelling for postgraduates. Deakin’s School of Architecture and Built Environment is also developing a ‘BIM at Deakin’ online resource for staff and students. “There are other universities using BIM in their units like us, including University of Technology Sydney, the University of South Australia and the University of Newcastle, which is doing some interesting new things in the BIM space,” he says. While many tertiary education providers are integrating BIM into their curriculums, Dr. Hosseini says they vary in content across institutions and do not necessarily provide consistent student learning outcomes required by the industry. “There are challenges both on the part of industry and across universities. Many lecturers and people working in the delivery of these units are reluctant to change the way they do things. “They have to learn something new and change their style of delivery – it’s a risk for them. Likewise, people in the industry are used to delivering projects in a certain way,” he explains, adding that adopting BIM can be a large step for many of these organisations. Dr. Hosseini says a next step for implementing BIM into construction and engineering tertiary curriculum is to use BIM-based assignments across various units to simulate use of BIM in different areas – measurement and estimation units, for instance, have ample potential to use BIM-based assignments and activities. He says an overarching framework and an accreditation regime are needed to make sure the units and curriculum aligned across institutions, as is already the case for other construction units, with relevant course accreditation through bodies such as the Royal Institution of Chartered Surveyors and the Australian Institute of Quantity Surveyors. Dr. Hosseini explains that many areas of construction, both in civil projects and infrastructure delivery, are shifting to BIM and the need for businesses to have staff that are skilled in BIM processes and delivery is crucial. Complementary to the rise of BIM is the increasing importance placed on offsite construction methods, which Dr. Hosseini says is a good example of where BIM teachings must merge with construction tertiary education. “I always tell my students that the future of construction is similar to how the manufacturing industry has changed – it will be only assembly onsite,” he says. Dr. Hosseini says there is currently no integrated plan across the country’s tertiary sector to guide a universal curriculum in the core knowledge, skills and abilities relating to BIM. Dr. Hosseini is hoping this can be done by bringing academics from different Australian universities and practitioners together to develop such a framework – a project he is already a part of developing in the US, and something that’s also being established in the UK. Embracing BIM is a crucial way for Australia’s construction industry to make efficiency gains, such as reducing wastage on projects due to issues like poor communication between architects, engineers and contractors, change orders and rework, according to Dr. Hosseini. “The value of the work done in the Australian construction industry will be around $203 billion in 2019-2020, making it a significant contributor to Australia’s GDP. With our cities set to double in size over the next 50 years, and with government increasingly committed to infrastructure investment, this would seem good news for construction. But construction in Australia is as efficient as it can be under current conditions,” he says. “Over the last decade, profit margins have been declining, and the construction industry experiences the highest proportion of firms going into liquidation, at 18 per cent.